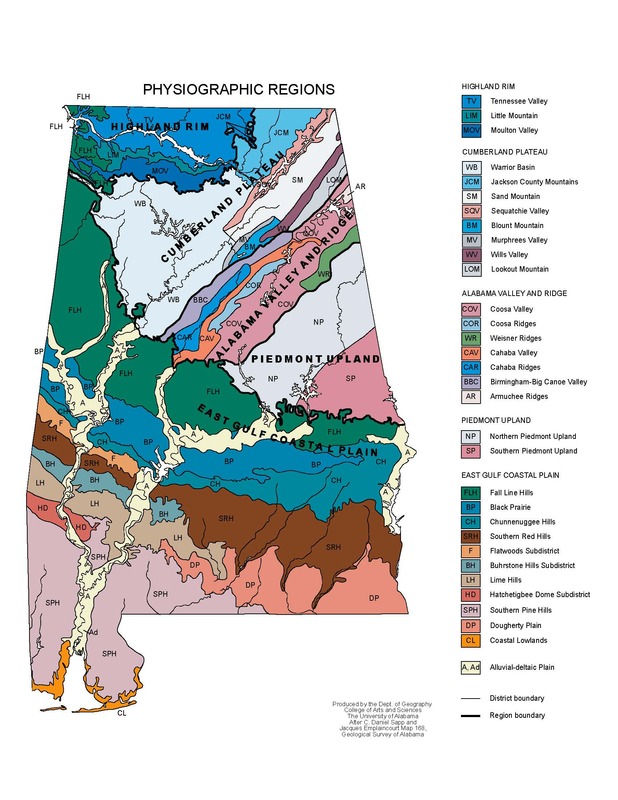 Alabama's rivers in greater detail. 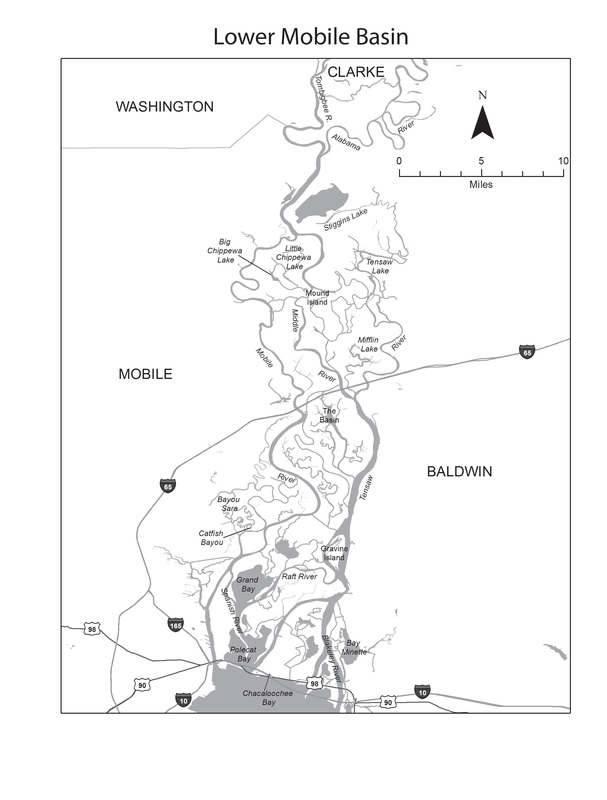 Locust Fork of the Black Warrior River. 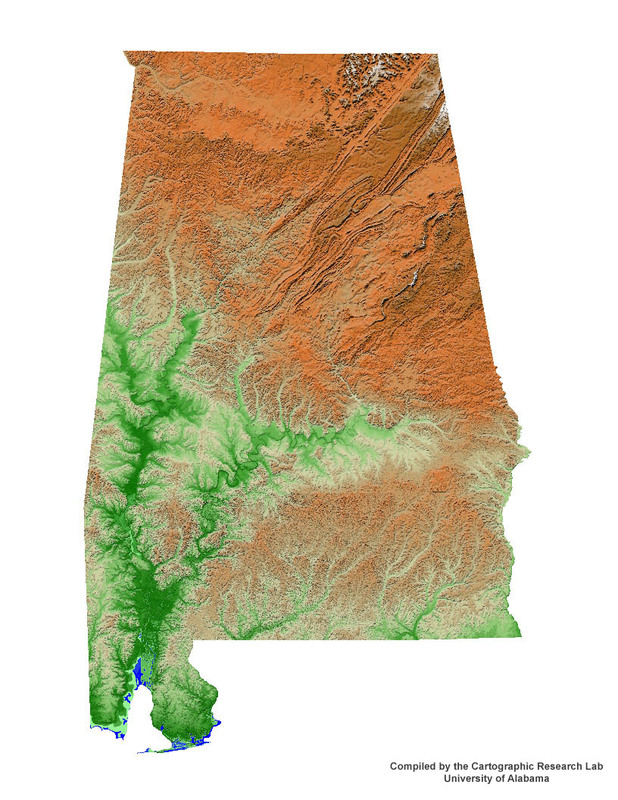 A shaded relief map of Alabama. 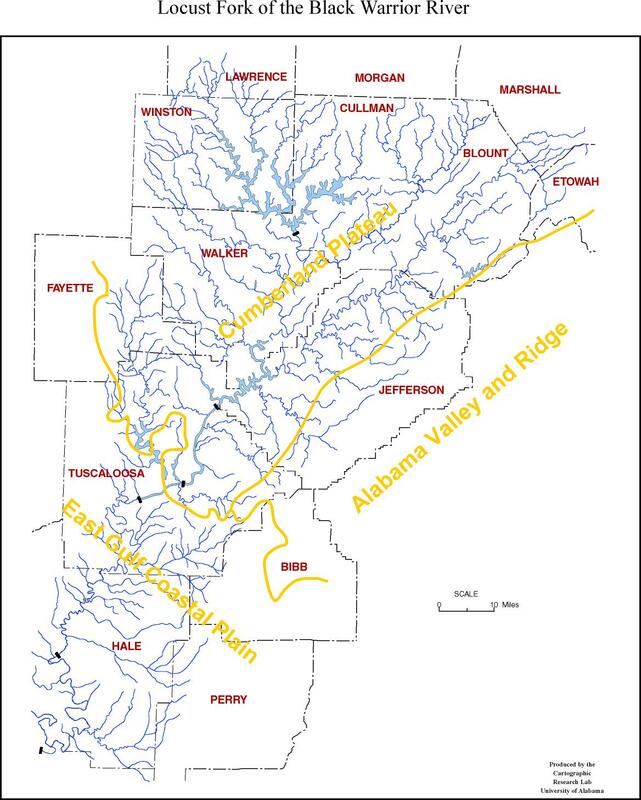 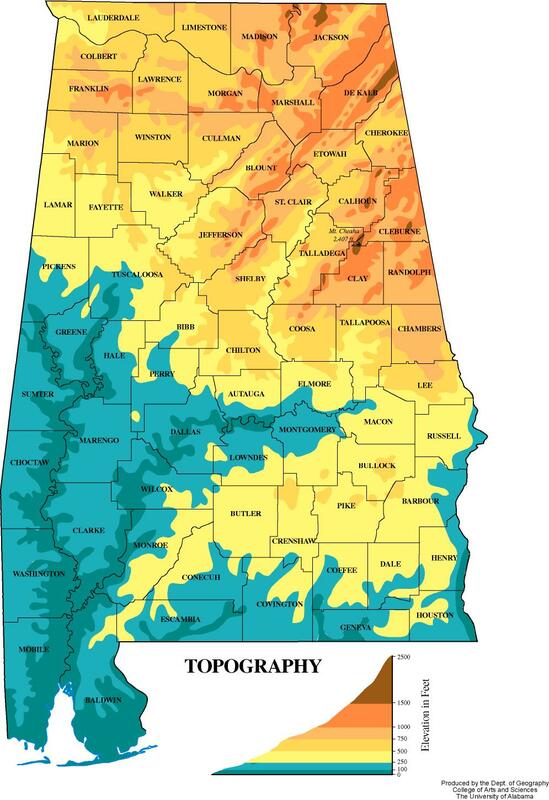 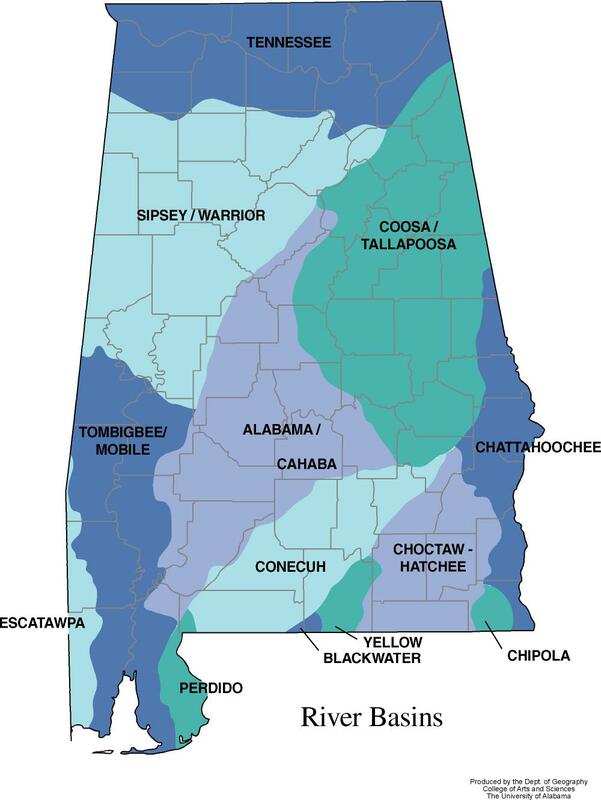 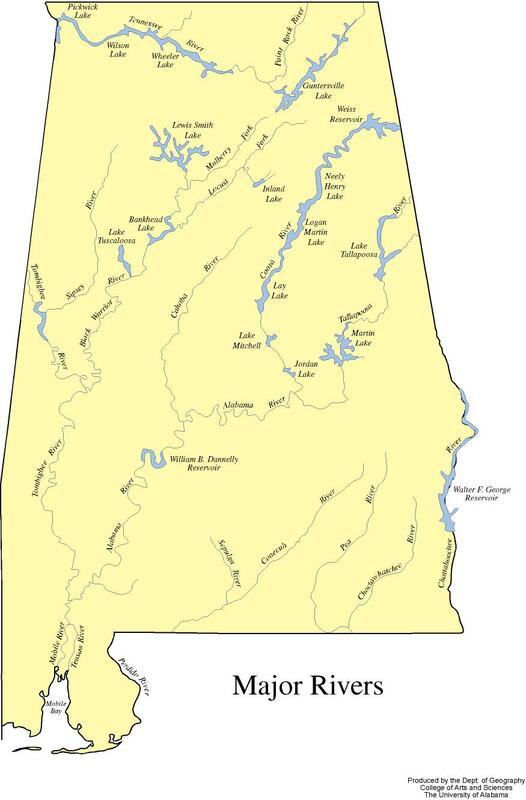 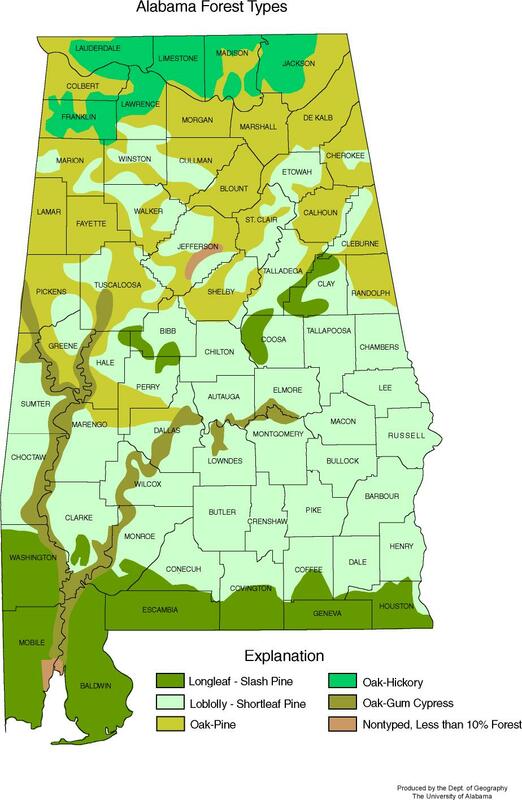 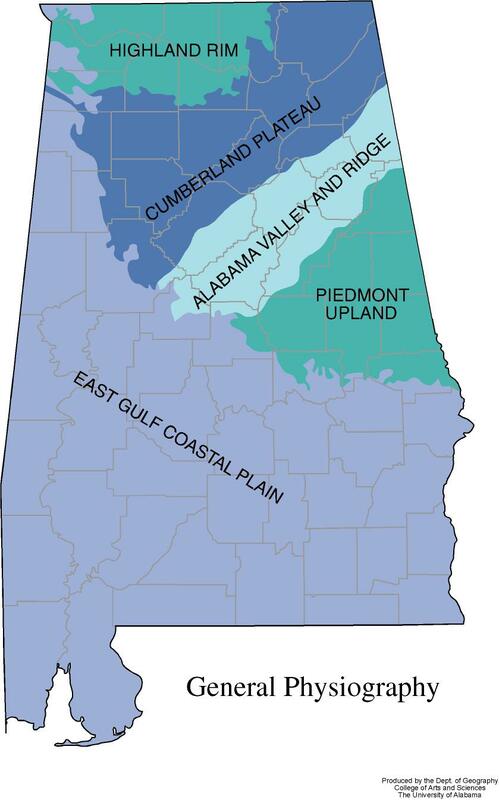 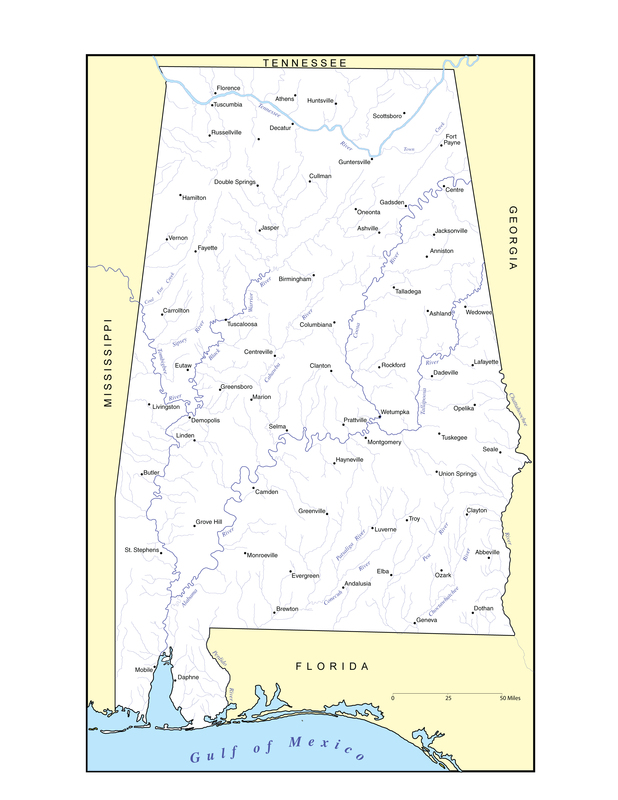 Generalized map of Alabama's physiographic regions. 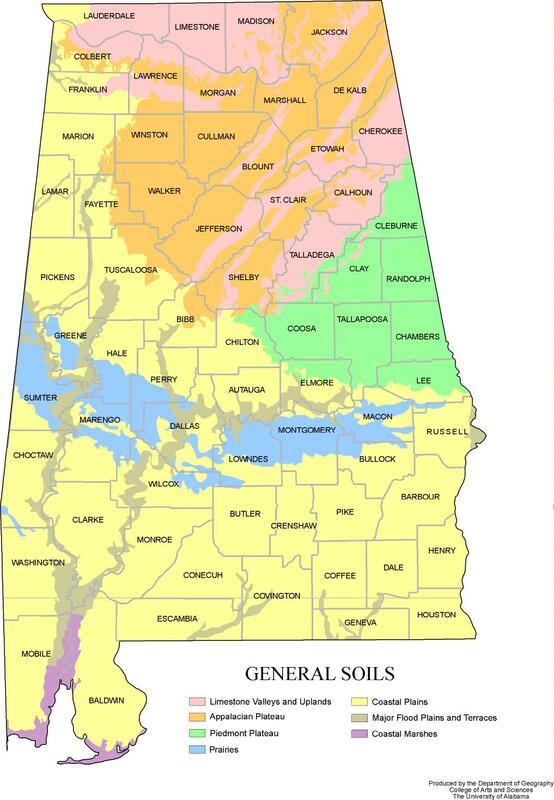 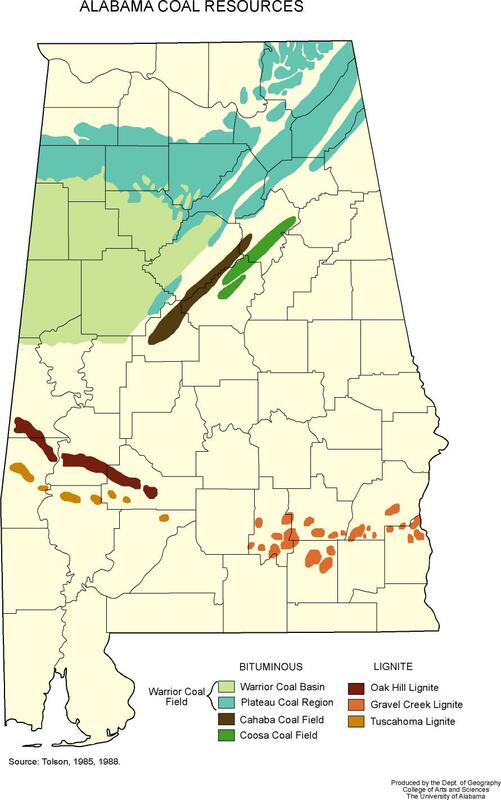 Generalized soils map of Alabama.